At St. Catharines Tree Service, we work with commercial customers and residential customers, including homeowners and property managers. We are capable of handling large lot clearing jobs, and we can move large amounts of trees and brush quickly and efficiently using our skid steer and bucket truck. We can also remove large trees in hard-to-access areas. 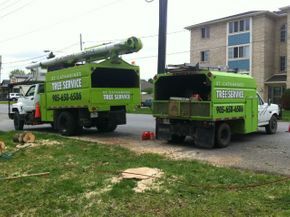 For projects large and small, you can count on St. Catharines Tree Service for excellent results. Contact us by telephone, email or by completing the form located on this page, and we will provide you with a free quote.